The building is often considered as a location for weddings or wedding photographs. However, because the Capitol is a public building, private activities such as these must follow guidelines and provide advance notice. 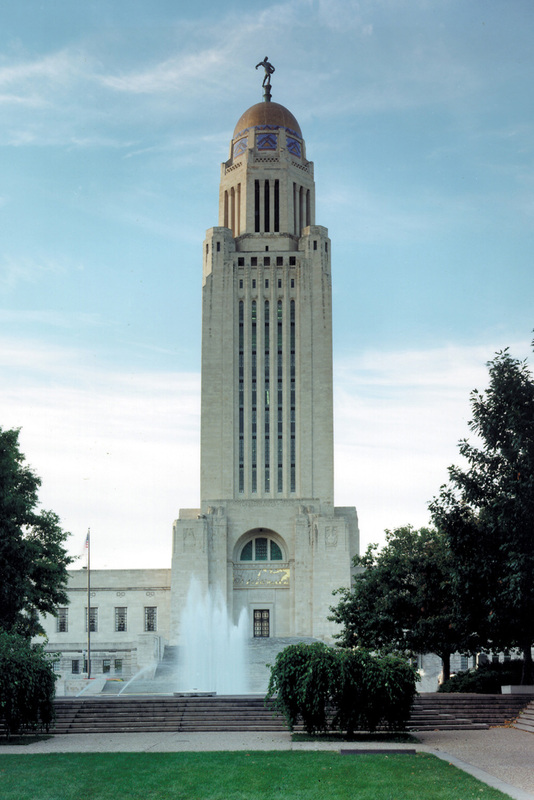 The Nebraska State Capitol is a beautiful architectural masterpiece. Because the capitol is a public building with hourly guided tours, those interested in being married or taking photographs in the capitol should provide advance notice and follow guidelines established for weddings and wedding photography. Failure to provide advance notice may result in the wedding party being unable to use the capitol or a delay in access to public spaces. If several private groups are present, those private groups providing advance notice will be given priority for use of a space. Activities of government have priority over all private activities. Tours and the visiting public have priority for use of the capitol and private events such as weddings or photography cannot block public access or interfere with the tour or public enjoyment of the building. Weddings must take place during public hours: Monday through Friday 8:00 a.m. to 5:00 p.m.; Saturday and Holidays 10:00 a.m. to 5:00 p.m. and Sunday 1:00 to 5:00 p.m. and are limited to one hour or less time in the Capitol. Weddings groups are limited to 50 people or less, including the bride, groom and attendants. No equipment (chairs, decorations, etc.) may be brought in and none will be provided. No candles or alcohol allowed in the Capitol. Please see the wedding guidelines for a complete list. Wedding photography must take place during public hours, and is limited to one hour or less time inside the capitol. Wedding photography cannot block public access to any area, hallway or corridor. Groups taking photographs cannot move signs or benches, or open and close windows in the capitol. No props or equipment other than the camera and reflector umbrellas may be brought into the capitol. Please see wedding photography guidelines for a complete list.